Corrie Hunt, a senior vice president with Hart Research, received her doctoral degree in social psychology from the University of Minnesota, where she developed expertise in using survey and experimental research methods to understand people’s attitudes and behavior. 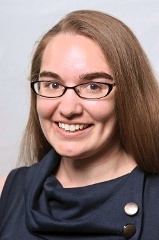 In addition to her experience conducting qualitative research, including moderating focus groups, Corrie has extensive quantitative research experience in the measurement of attitudes, advanced multiple regression, factor analysis, cluster analysis, and nonparametric models. Since joining Hart Research in 2011, she has worked on projects spanning every major sector, including politics, labor unions, corporate, education, and nonprofit and advocacy organizations. Corrie grew up in the Seattle area and received her bachelor’s degree from University of Washington. Madeline Albert is Corrie Hunt’s research associate.